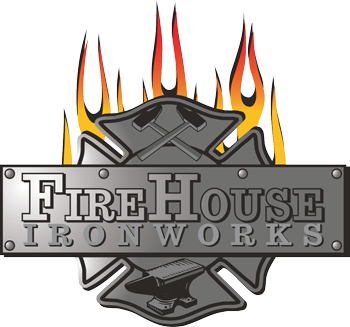 Recreational Blacksmithing Level 1 - FireHouse Ironworks Ltd. This 4 day course will encompass the rudiments of the introduction to blacksmithing and in addition the participant will learn the concepts of tool making, material selection, and efficient fire management. MECHANICS OF BLACKSMITHING, DRAWING OUT, TAPERS, BENDING TECHNIQUES, SIMPLE TOOL DESIGN, TWISTS, FULLERING, LEARN SYMMETRY AND UNIFORMITY, LEARN HOW TO MAKE FUNCTIONAL ITEMS AND TOOLS. LEARN HOW TO TURN YOUR IDEAS INTO REALITY. STEEL USAGE AND IDENTIFICATION, SMALL PROJECTS MAY INCLUDE A FIRE POKER OR A SET OF FORGE TOOLS TO USE AT HOME. A $100 deposit is required to complete registration for this workshop. You will be directed to pay the deposit via PayPal or Credit Card when we confirm the requested dates of the workshop.